There’s been a revolution in the interpretation world. 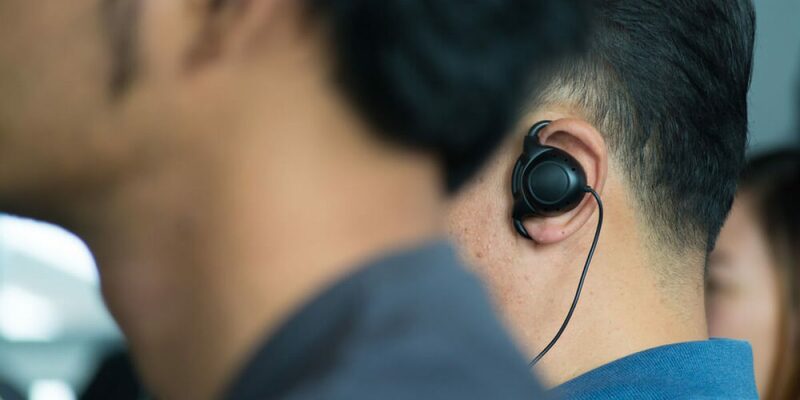 New headphone technologies, like Google’s Pixel Buds, allow instant interpretation in 40 different languages. While this is great for bringing the world closer through the power of communication, it certainly doesn’t mean the end for human interpreters. Today in the Akorbi blog, we’ll explain why machine interpretation technology won’t replace humans anytime soon. One of the most important things that a human interpreter does is translate a close approximation of the meaning behind what the speaker wants to communicate. Tone, facial expressions, and much more need to be considered when providing accurate interpretation. Right now, machine interpreters aren’t programmed to read facial expressions and other non-verbal cues. Without this, a lot of context and meaning could be lost in translation. For important meetings and sensitive communications, you can’t afford for this to happen. Another issue with machine interpreters is the fact that they don’t contain every language you may need. Google, who is leading the charge, only has 40 languages programmed at the moment. Akorbi, on the other hand, offers interpretation services for over 150 languages. It’s also important to keep in mind that language is constantly changing. It will be very difficult for these machines to keep up with the natural evolution of spoken languages, whereas humans are constantly learning and paying attention to the evolving nuances in the languages they use. This makes a big difference when it comes to important meetings and other events where you’d use interpretation services. It’s also important to keep in mind that, although these technologies seem convenient, they can also be expensive. For instance, if you need interpretation services for a 200-person conference, you need the resources to provide everyone with a set of headphones. This isn’t necessarily feasible for everyone’s budget. A human interpreter is the clear solution in a situation like this. For now, the limitations of this technology outweigh the benefits. For the time being, these headphone technologies are amazing for things like traveling to other countries and interacting with locals, but they’re not practical for business applications. If you’re in need of an interpreter, choose Akorbi. We offer a wide variety of quality translation and interpretation services in over 150 languages to meet your needs. Our team is made up of highly trained experts in translation and interpretation, along with design and localization for websites and more. Contact us today for more information and for a free consultation.